Search Influence, LLC (“Company”, “Company’s” or “We”) respects your privacy and is committed to protecting it through our compliance with this policy. This policy describes the types of information we may collect from you or that you may provide when you visit the website nissanofdurango.com (our “Website“, “Site”, “Sites”) and our practices for collecting, using, maintaining, protecting, and disclosing that information. Our Website is not intended for children under 13 years of age. No one under age 13 may provide any information to or on the Website. We do not knowingly collect personal information from children under 13. If you are under 13, do not use or provide any information on this Website or on or through any of its features/register on the Website, make any purchases through the Website, use any of the interactive or public comment features of this Website or provide any information about yourself to us, including your name, address, telephone number, email address, or any screen name or user name you may use. If we learn we have collected or received personal information from a child under 13 without verification of parental consent, we will delete that information. If you believe we might have any information from or about a child under 13, please contact us at chris@nissanofdurango.com. Targeted Advertising. If you do not want us to use information that we collect or that you provide to us to deliver advertisements according to our advertisers’ target-audience preferences, you should not submit any personal information. We do not control third parties’ collection or use of your information to serve interest-based advertising. However these third parties may provide you with ways to choose not to have your information collected or used in this way. You can opt out of receiving targeted ads from members of the Network Advertising Initiative (“NAI“) on the NAI’s website. California Civil Code Section § 1798.83 permits users of our Website that are California residents to request certain information regarding our disclosure of personal information to third parties for their direct marketing purposes. 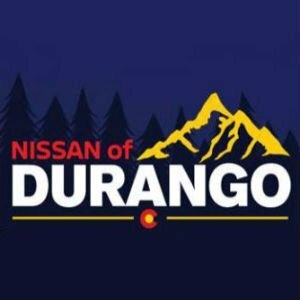 To make such a request, please send an email to chris@nissanofdurango.com or write us at: Nissan of Durango 20704 Highway 160, Durango CO 81303.